Last month I did "January Snaps" which is basically a collage of some of my Instagram snaps and a little monthly summary. Firstly, I'm quite proud of myself this month regarding Instagram as I've been taking more photos specifically to do with my blog posts and I've been taken a lot less selfies! February has been a very random month for me, I've been focusing a lot on my blog and I even created a YouTube video (here) I've also been decorating my room, me and my boyfriend had our first Valentines together, my dad turned a year older, my brother was Christened and I said goodbye to a family friend. I just hope March brings more happiness and fun. 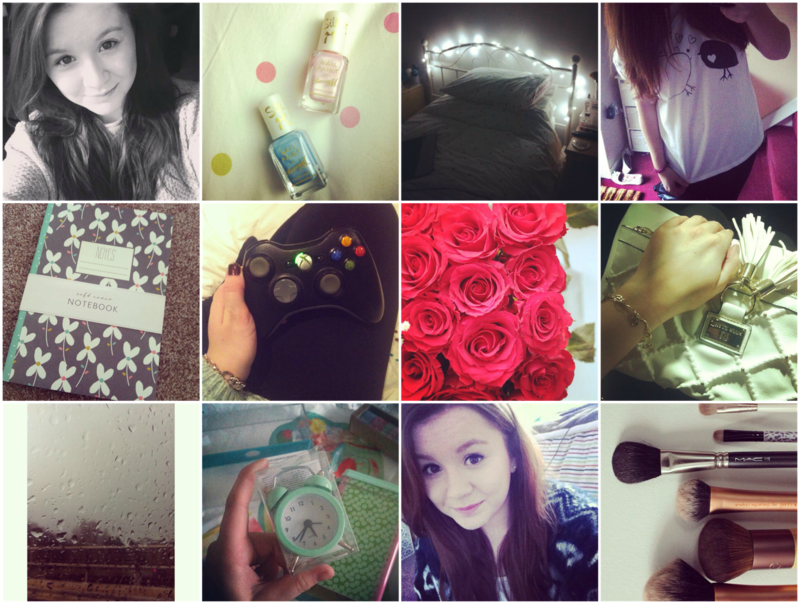 Follow me on Instagram @UploadJess.